We recently went on a family vacation to Southern California. We had such a great time! 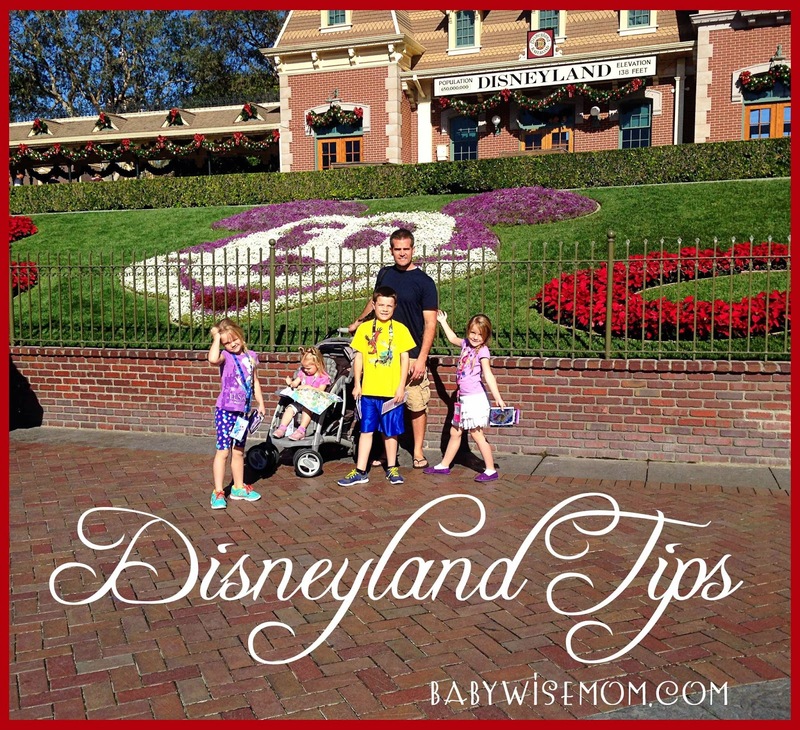 There are a lot of great blogs out there with tips about visiting the various parks in SoCal. I read a lot of them in preparation. I wanted to add to these great tips available with my own tips. I am starting with Disneyland and California Adventure. First of all, we purchased most of our tickets by simply getting a Southern California City Pass. This gets you into Disneyland/California Adventure (three day park hopper pass), Universal Studios, and Sea World. You can also add on San Diego Zoo OR Safari Park (we added on the Zoo). You can also add on Legoland. We did not add on Legoland even though we went there. We did some pricing and found we could get into Legoland cheaper by buying tickets with our buy one get one free coupons Brayden gets in his Lego magazine (this is a free subscription). We had trouble using the coupons, but I called Legoland and they helped me out. If you want to go to all of these parks, there is a good chance it will be cheaper to buy the City Pass. Check out prices and any deals you can find that are going on at the current moment. If you do buy a City Pass, note that they ship it to you. You can get free shipping if you order early enough. I did not order early enough! I think it might be two weeks or more. I had to pay for two day shipping, and it got here the next day. Shipping wasn’t terrible, but I was still frustrated with myself. So keep that in mind. A big question a lot of us have with these parks is how many days should we plan on? I highly recommend more than one day for Disney. 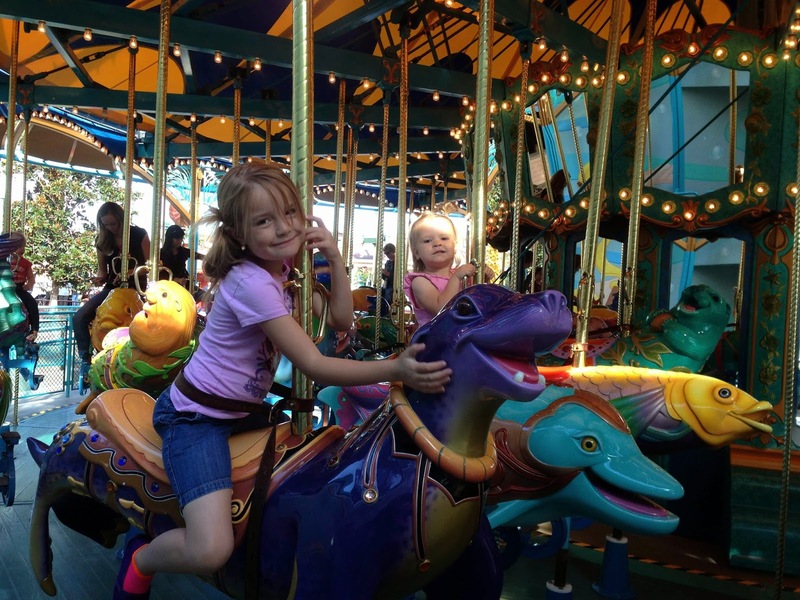 There is so much to do, and there is so much more to Disneyland than just rides. If you are looking at it strictly as a rides experience, you might be satisfied with one day at one park if it isn’t a busy day. We rode almost everything at Disneyland on our first day. My favorite day, however, was our second day. 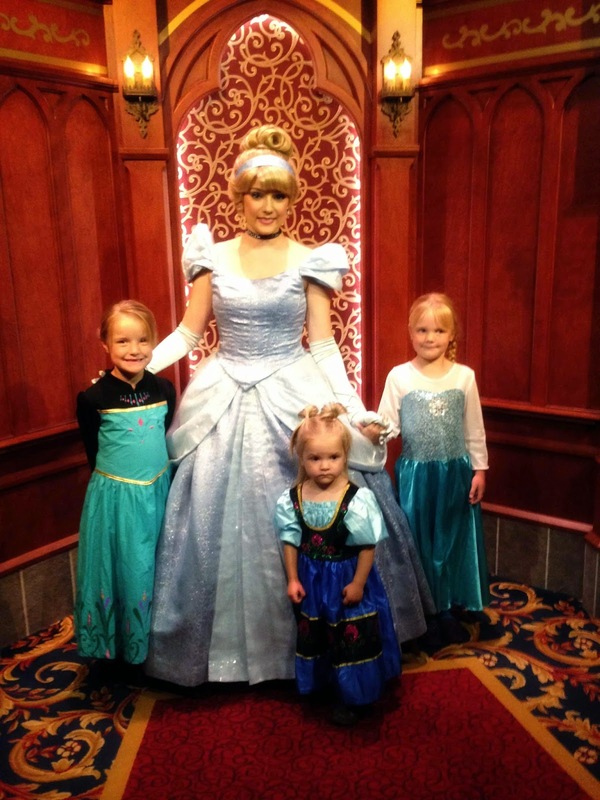 We did a lot of princesses that day, and my girls loved that as much or more than any ride. A lot of Disney is the magic. The shows, the characters, the themed areas–just immersing yourself and enjoying being there. We could have been happy with two days. Three days got us to do almost every ride in both parks (we could have done every if we didn’t go on certain rides, like Space Mountain, ten times). We got to experience the parades and the princesses. I think we would have been happy with a fourth day, also. I have heard November and February are really great months. The Disney website says mid-September through mid-November and mid-January through mid-March are the best times. It also says Tuesday, Wednesday, and Thursday are the best days. We went mid-November and it was good. It was also fun because we saw the Christmas decorations up and they had all of those fun Christmas shows and activities going on. You will read a lot about Fast Passes. I felt very confused when I was doing research on the Fast Pass. I promise it is easy to use. Once you do it your first time, you will be fine. Here is the Disney info on the Fast Pass: https://disneyland.disney.go.com/guest-services/fastpass/. Here is another tutorial I found helpful: http://gocalifornia.about.com/od/cadisneyland/ss/fastpass.htm. The World of Color is a very cool show at California Adventure each evening. On weekends, they have several showings. On weekdays, usually just one. You can get a fast pass to get good seats for the show. They might have them all over the park, but we got ours by the entrance to Grizzly Peak at California Adventure. You can have other fast passes as well as your World of Color fast pass. If you don’t get a fast pass, still go to the Paradise Pier area to watch the show. You can see it still; it just won’t be prime seating. Attendants are helpful. There is always someone working the fast past area. Ask the worker when you will be able to get new fast passes. We got some different stories from different workers. One told us you can’t get a new one until you have used the one you have. Another told us you can get a new one 60 minutes after you got the one you have. Rules might change based on the ride or day (some days are busier than others). It is always helpful to ask workers questions. Radiator Springs is a must-get first thing. If you want to ride Radiator Springs, I highly recommend a fast pass. The workers said the fast passes usually run out within 3 hours of opening for the day. This is true even on non-busy days. Keep this in mind if you want a fast pass. We were at the Radiator Springs ride on a Saturday and the line without a fast pass was a 2 hour wait. That is insanity. Get a fast pass. If you are doing a three day park-hopper and will be there on a weekday at all, I would highly recommend you go for Radiator Springs on a weekday. On the Saturday, even with a fast pass, we waited in line for 30 minutes. Not very “fast,” but better than 120 minutes. The wait time on a Thursday evening was 60 minutes without a fast pass. So a weekday is a better day for that ride. NOTE–the fast pass distribution location for this ride is not by the ride. It is by the entrance into “A Bug’s Land.” It is good to ask a worker. 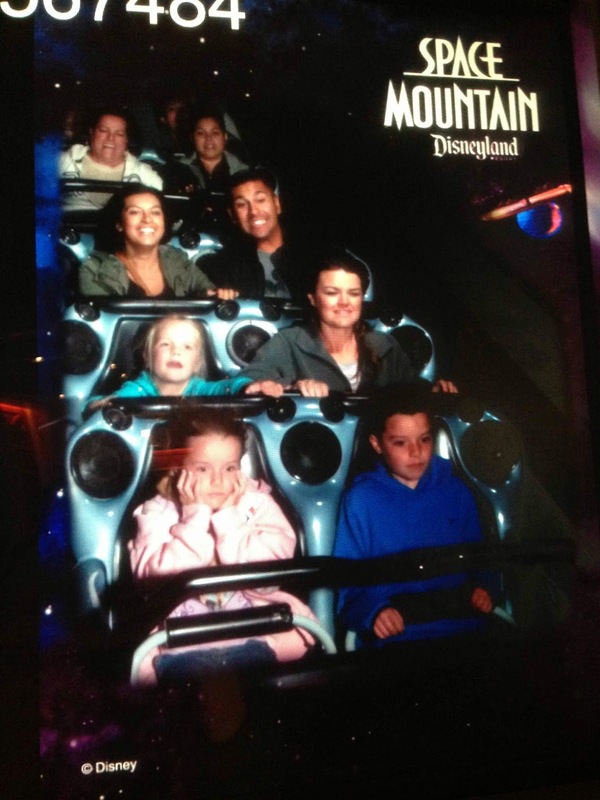 Space Mountain in Disneyland gets super busy on a weekend, also. That line without a fast pass exceeds an hour. It is a ride where the fast pass will get you on in about 10 minutes. So it is worth the fast pass for you. 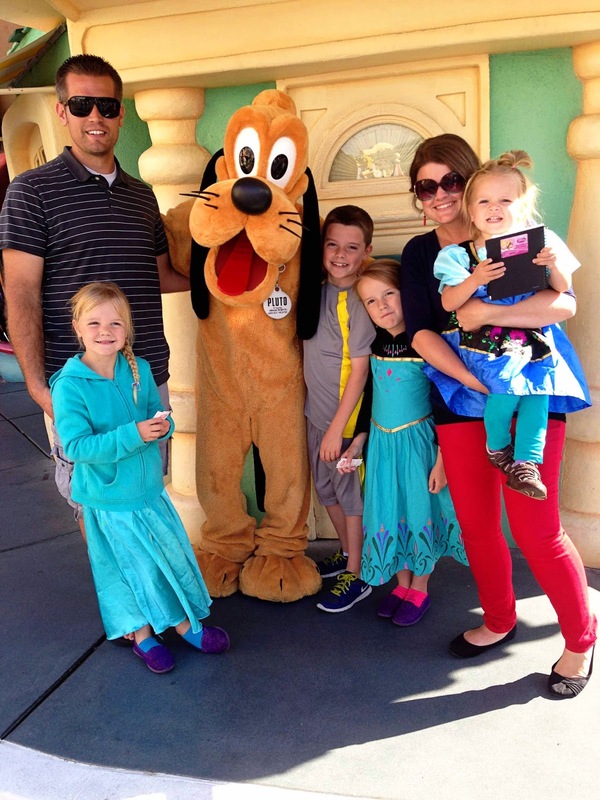 Another must for you to do in order to get the most for your time at Disney is the “Parent Swap.” I talked with a season ticket holder in one line who didn’t know about this feature! The way they did the parent swap while we were there is that you told the attendant at the beginning of the line that you were doing a parent swap. They either gave you a parent swap ticket or they gave you an electronic key card to give to the attendant right before you get in line, then that person gives you a ticket. The ticket is good for the parent and two children. The parent and children get to get in the fast pass line even without a fast pass. It is only good on that day and on that ride. Look and make sure the ticket has been dated and signed when you get it–one time it wasn’t when I got one and I made sure they did. Some attendants can be real sticklers and you wouldn’t be able to get back in line. So the way it worked for us is I would get in line with Brayden, Kaitlyn, and McKenna because all three of them are big enough for every ride. Nate would go get in a line of a ride close by with Brinley that she could ride. We would go through the line, get our parent swap tickets, and then meet up with Nate. He was typically done before we were. He waited by the exit for us. Then I would take Brinley and a child while Nate took two children. We just took turns with who sat out. Then the older child, Brinley, and I would go on a ride while they rode. If the ride took a fast pass and we had fast passes for the ride, then Nate would use his fast pass and his parent swap ticket and take all three children. We figured this out after a bit. No one required to see Nate and Brinley for me to get the parent swap ticket, so they could just go straight to their ride while we went to the big ride. I have read to start your day in Adventureland and to work your way clockwise. We started in Tomorrowland because both Nate and I remember our favorite ride being Space Mountain, and we figured our kids would like it, too. 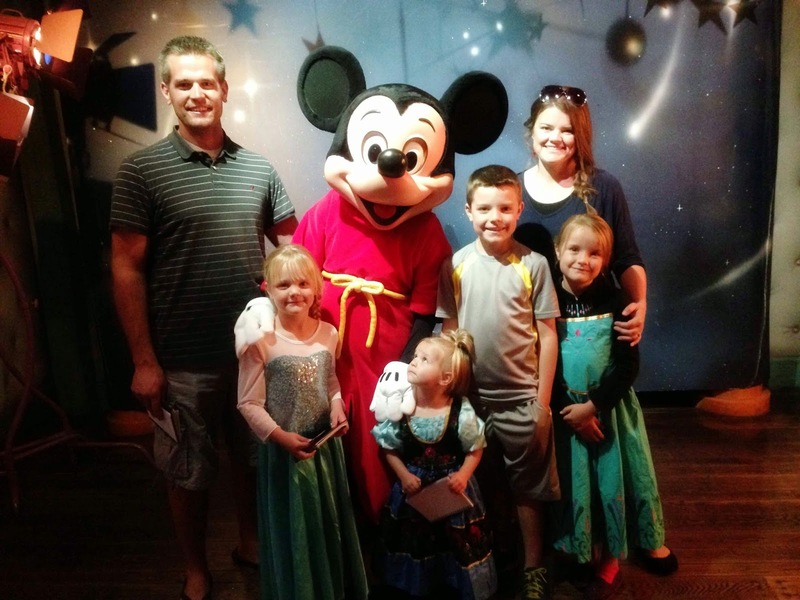 We were correct, that was the favorite of Kaitlyn and McKenna and the second favorite of Brayden (his first favorite was Star Tours, which is also in Tomorrowland). We liked starting there. Everything else was just “eh” for us–but of course this is all subjective. You might have very different opinions. Take note we did not ride Splash Mountain (can’t be getting wet when it is only in the low 70s now!). We also did not ride the Haunted Mansion. No child had interest in that. Mark Twain’s Riverboat was closed. Let’s note here, California Adventure is significantly less busy than Disneyland. From the lineup in the morning on through the night, this place is less crowded. We spent part of our Thursday here and the first half of our Saturday here. Both days it was significantly less busy. If you are doing more than one day and one will be a weekend, this is the place to be on the weekend. Monsters, Inc. (this was a major favorite of Brinley’s. Even on Saturday, we walked right on over and over and over). Bug’s land has some fun stuff for little ones. 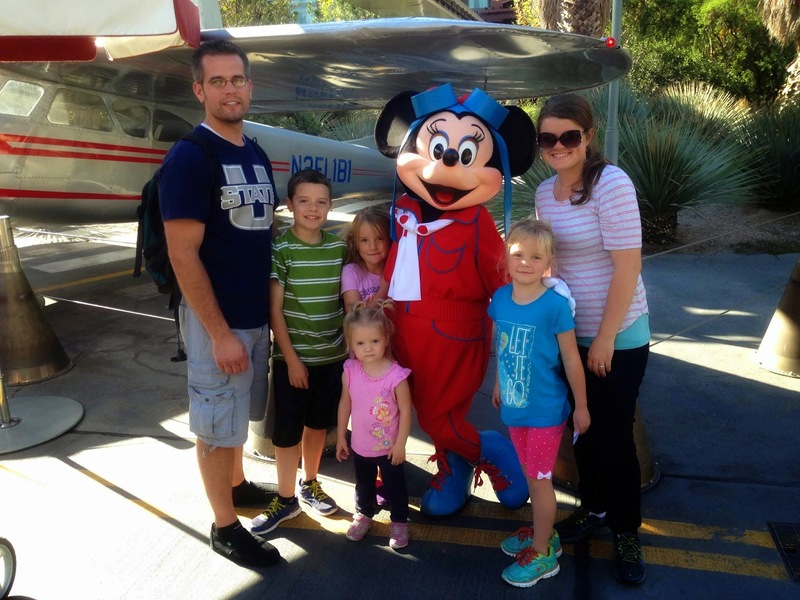 For me, I didn’t love any ride in that land, but they were all Brinley friendly, so it is a good place for the toddlers. The rest are “eh”–but we didn’t ride the Tower of Terror because none of our children were willing to go. We also didn’t ride the Grizzly River Run because we had become like the locals at this point and the 70s were much too cold to be getting all wet. Brrr. You can bring strollers in. You can also rent strollers. I debated on bringing our big Graco or our small Jeep umbrella. We went with the big one, and I am glad. We could store stuff in the basket. The Graco also lays flat, so Brinley could lay down and go to sleep, which she did each night promptly at 8 PM. Disney has designated stroller all around the park. A great thing about these spots is there is 1-2 workers at the stroller parking who watch the strollers. They also rearrange the strollers as people take theirs away, so don’t be freaked out if your stroller is in a different spot. Here is a big question. What to eat? The food choices between the two parks is highly overwhelming. I think the food prices at Disney get a bad reputation. I didn’t find the food to be overly priced in comparison to what we pay at restaurants here. 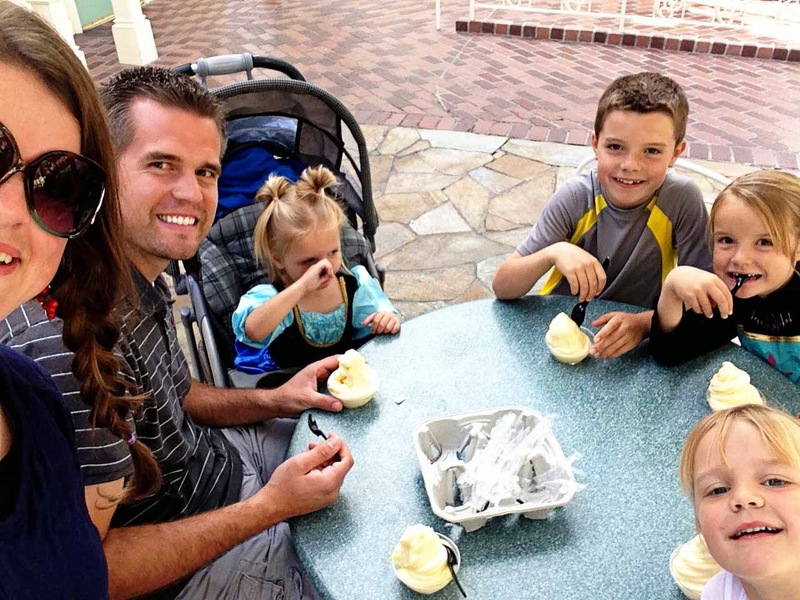 Every place we ate had excellent food and every kids meal came loaded with fruits and vegetables, so I loved it. We started with breakfast at our hotel. We had a hotel with continental breakfast. Our kids loved it and ate a ton of food at breakfast. We stayed at the LaQuinta Inns & Suites in Anaheim. I can’t decide how I feel about it. It worked great. It is close to Disneyland and a shuttle stop is right by the hotel. 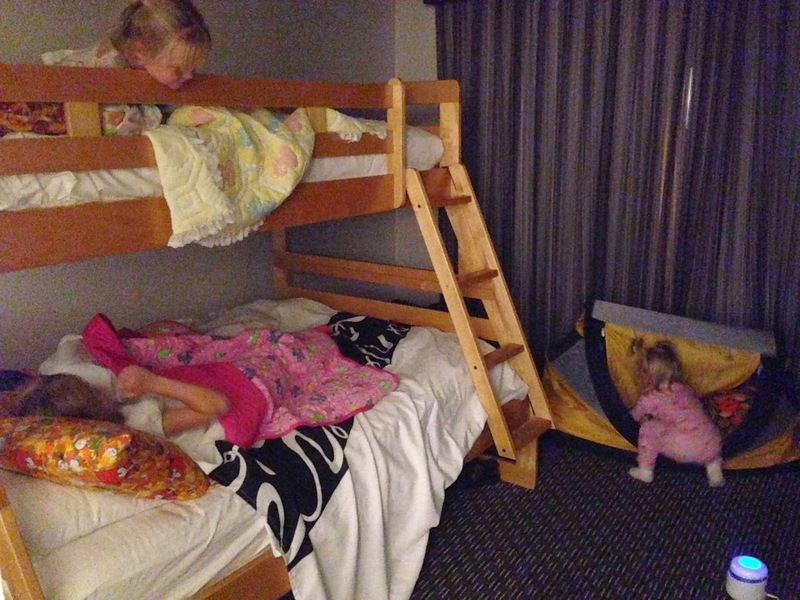 We had a room with two rooms and one of the rooms had bunk beds, so that worked great for our family. It also has a mini-fridge. But the door to the hall had a gap under it. It made it so we could hear everything in the hall. That wasn’t a huge deal because we have sound machines and the kid room was in the back of our space. We also were getting up earlier than most of the hotel. The breakfast was okay, but I have had better (thought the kids absolutely loved it). I will say it is quite cheap for the room size. The pool is definitely not a place we would want to hang out–we didn’t even swim. It feels like you are swimming in the parking lot. It is across the street from the Cheesecake Factory, so that was nice. We haven’t decided if we would stay there again or not. We then packed a lunch in a backpack. The Disney website says no food in the park, but they check your bags as you enter and no one told us not to. They won’t allow coolers, but our food in the backpack was okay. We packed sandwiches or bagels, carrots, string cheese, and grapes. We also brought granola bars, cashews, and dried apples as sacks. We would just sit somewhere and eat whenever we wanted to. We then at dinner in the park. Most tips you read say to eat at “off” times. Our time is an hour ahead of California, and we eat dinner about 5-5:30 each day. So we were hungry 4-4:30 and were naturally off of what normal people would consider dinner time. Our first day, we ate dinner at Rancho del Zocalo Restaurante in Frontierland. It is cafeteria style, which means you can get food, leave, and get other food elsewhere. I would eat there again, but beware that the kids meals were pretty bland. Our children aren’t used to no spices or seasonings on their food, so they were kind of “eh.” Nate and I split an adult meal and it was plenty for us. For our second day, we ate in California Adventure. Kaitlyn was in the mood for a corn dog, so she got one at Corn Dog Castle. It was huge and she loved it–she ate it all. A worker there told us it was his favorite food in the whole park. The rest of us got our food at Boardwalk Pizza & Pasta. I had the ravioli and Nate and the other kids had Pizza. This was our favorite place we ate. It was very good. Both places were in the Paradise Pier area. Our third day, we ate at Cafe Orleans in New Orleans Square. The kids had macaroni and cheese and it was delicious. Nate and I both ordered the Monte Cristo Sandwich. We should have shared–it was gigantic! It was good, but I don’t think I would get it again. It is a friend sandwich, and we aren’t really friend food eaters so it kind of leaves us feeling sick. There are also lots of fun treats in Disneyland. We got Dole Whip, which is only available at the Tiki Juice Bar in Adventureland. It was very good, but I think it would be even better on a hot day. 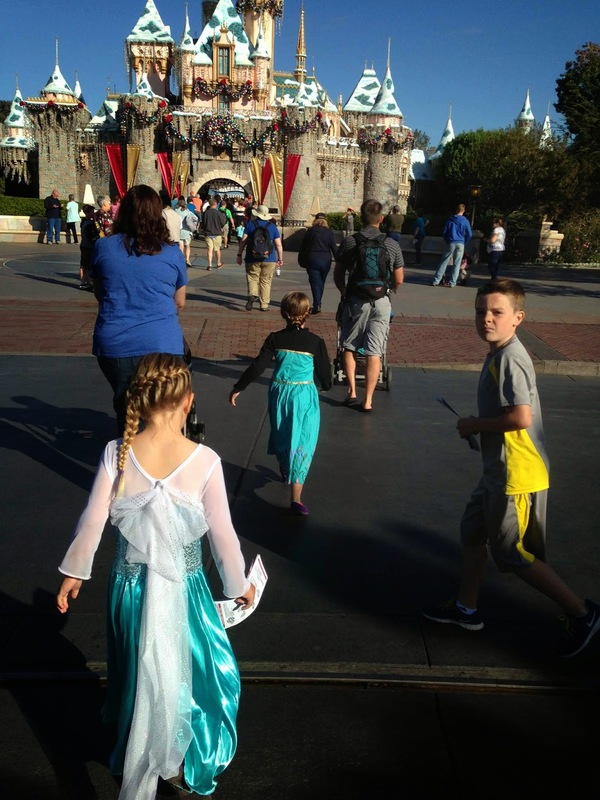 The main event at Disneyland right now is to see Anna and Elsa. The way they are doing it is to have people get tickets first thing in the morning. The ticket is like a fast pass and you use it to go back in your time window. There you wait in another line to see them. I had a worker give me great tips for success on our first day, so on our second day we were able to see them. I felt like we won the lottery! Here is what you do. Arrive to the park at least 30 minutes before it opens. This is because you have to wait in line to get your bag checked, then you want a good spot in line outside the gates. Take note that there are three days that Disney does a “magic morning.” This is a day you get in an hour early. You need to have a 3+ day ticket to get a magic morning. They are Tuesday, Thursday, or Saturday. We had a magic morning and did this on Thursday. If you do not have a magic morning pass, do not even try to get tickets on a magic morning day. 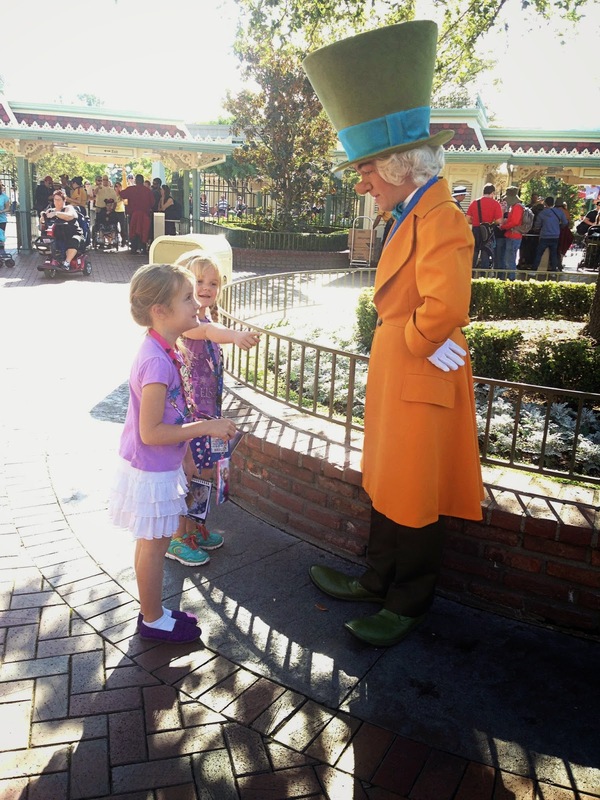 Once you are in the park, immediately go straight back to where the tickets are distributed. Do not get distracted by anything! We speedwalked back to the spot. 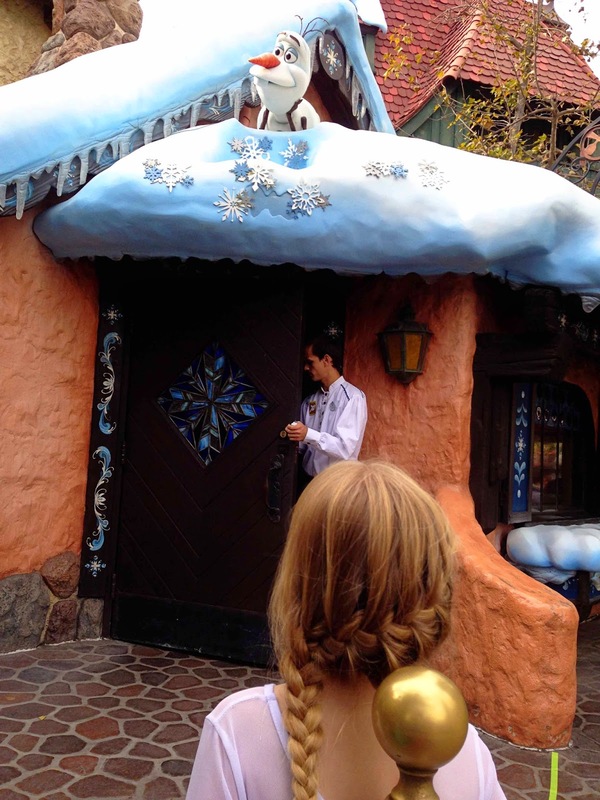 You will go straight back, through the castle, and line up by Village Haus Restaurant. This is close to the carousel. Do not try to cut through Frontierland–they had the gate closed between Frontierland and Fantasyland. Just go straight back. Here we are, going as fast as we can. Get in line. 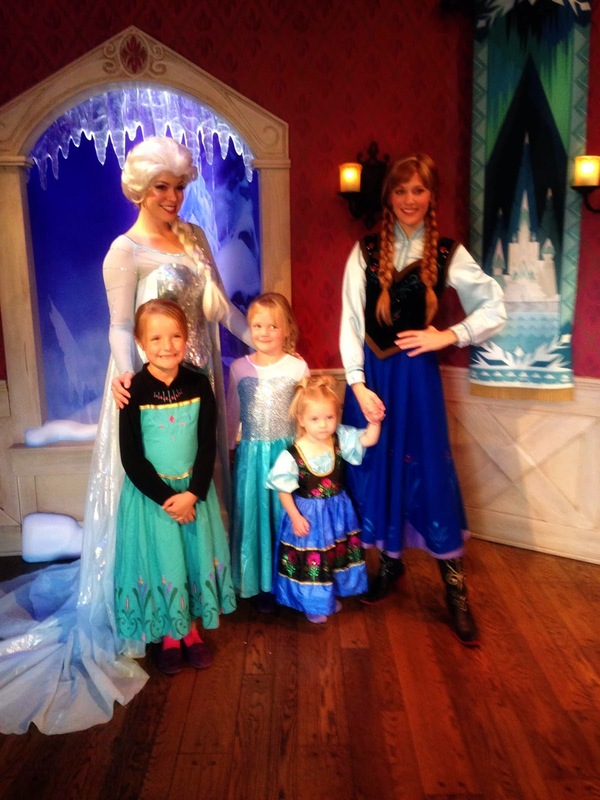 You will need the admission ticket for every person who wants to see Anna and Elsa. It will be scanned. Not everyone needs to be in line, but they need to be in the park. You can’t just go early ahead of the family. Wait in line. I got in the park about one minute after it opened and we booked it back there. I was still in line for an hour to get these tickets. Nate took the kids on rides while I waited in line. There were people who said they entered the park right at opening and came straight back and they were many people behind me in line. You definitely need to get here first thing to have shot at these tickets. They will scan your admission tickets and give you a time to return. You then come back at that time window. You will wait in line again. But at least they have a cute little Olaf on top of the building so you can be entertained. Then you meet them! And they are so sweet. McKenna sang “Let it Go” for them. They talked with the girls and were so fun. The Royal Hall is a great place to meet other princesses. After we got our scanned tickets, we went and got in line at the Royal Hall. They have three princesses in the Royal Hall. 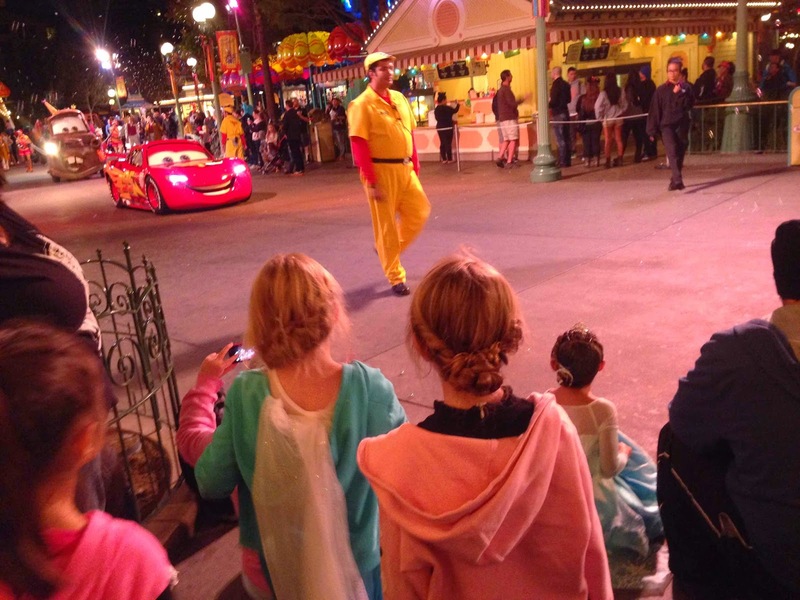 They will also have princesses randomly around the park. If you ask a cast member near the Royal Hall, you will be able to get the info. A lot of girls dress up in their princess dress. You can buy them there, but I am positive it is cheaper to buy ahead of time and wear it in. I think the girls had the most fun the day they dressed like princesses. The cast members all make a big deal about it and other little girls ooh and awwe as you walk by. There are photographers everywhere waiting to take your picture. They scan cards you can then access the pictures online with. But they will also take your photo with your own camera. They are very happy to do so and even thank you for asking them. So be sure to get some photos with the whole family! Here are some photos the photographers took for us just on my phone. There is at least one parade at each park each day. People line up hours before the parade starts on busy days. You can see the route on your map. We did the Disney parade on the Wednesday, which was the least busy day. We didn’t get spots until the parade was starting and we still got good spots. 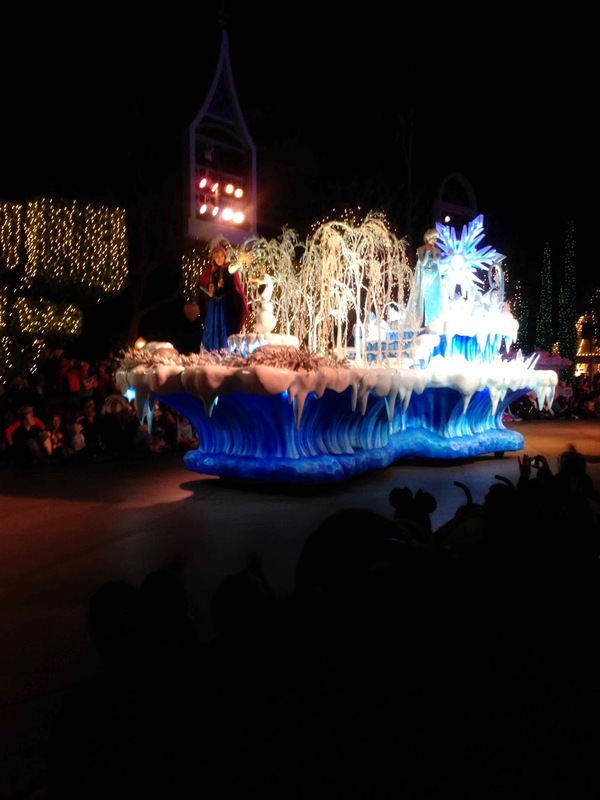 It is a fun parade because you will see lots of characters. The California Adventure parade not crowded at all. You can definitely get good spots without staking out for hours. If you have no interest in parades, you should be aware of what the impact of parades is on rides. Many rides shut down for a lengthy period because of the parade. This is also true of World of Color. The rides around the pier all close earlier than other rides in the park to prepare for World of Color. The fireworks each night are totally awesome. Know that when the fireworks are over, there is a mass exodus from the park. Imagine 90% of the people there trying to exit at the same moment. I bought some autograph books on Amazon before our trip. We loved having autograph books. Each character is happy to sign it. The kids loved it and love having that as a souvenir. The double-edged sword of the autograph book is that you then feel compelled to wait in line to see characters even if you wouldn’t otherwise. So take that into consideration when deciding if you want books or not. I don’t think kids would notice other kids with books and want them. Brinley got this one. Kaitlyn and McKenna each got this one. Brayden got this one. Disney pins are another big thing in Disneyland. I again pre-purchased these online on Amazon. I got this 3-pack for the girls and I got this one for Brayden. I then bought Disney Pins LOT of 50 Official Trading Set. The kids each picked 12 and I had a couple left over in case some got lost (and they did). The idea is you can trade pins. The kids never did trade, but they liked wearing their lanyards and having the pins. This is again something kids probably won’t notice. If you go Guest Services, you can get a button that marks your special occasion. You can get “First Time at Disneyland,” “Birthday,” “Anniversary”…it is fun. We got ours at Guest Services on our way out so we didn’t have to wait in line. I learned a lot for every park we went to by perusing the website. I read through their FAQs and felt like they offered as much good info as any blog with tips. Definitely worth the time it takes you to look the website over. They want you to enjoy yourself as much as you do, so they put effort into it. WHEW! I think that does it. Be sure to read up on my General Travel Tips I wrote up after this trip, also. It has more good rules for any sort of trip. If you have any questions, please ask. I am more than happy to answer if I can. If you have your own tips, please share! This was so worth it and so much fun. We made such great memories. You can find more tips on my Southern Cali board on Pinterest. It includes hotels I considered, tips for all of the parks, and condos I considered. I was wondering how old your kiddos are, especially your youngest. 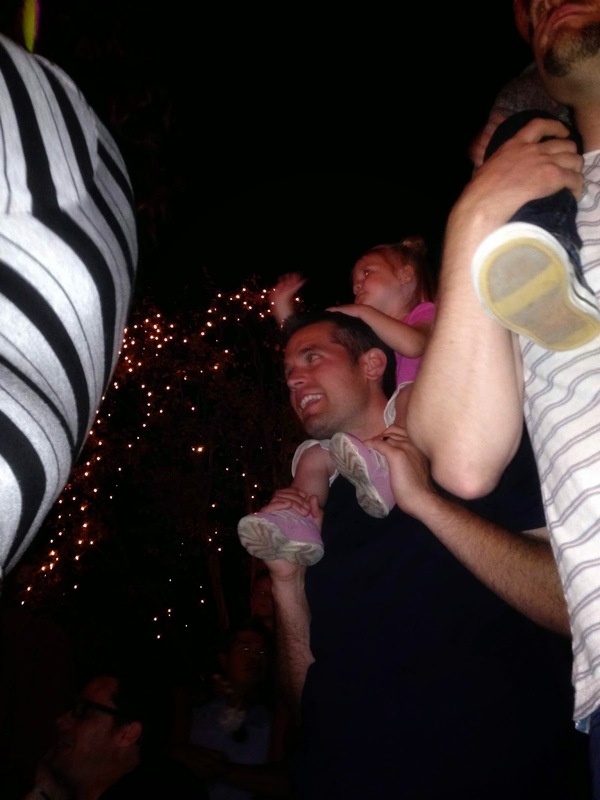 I am interested in taking my toddler but am not sure what is the best minimum age to enjoy Disneyland for the first time. My kids are 9, 7, 5, and 2. My youngest totally loved it. But on the flip side, she won't remember it at all. It is a lot of money to spend for no memory if it. Though I will say a 2 year old is free, so that is a perk. This is the first time we have taken our kids. For us, it isn't super close so cost to get there and lodging are big cost factors. You can definitely take a toddler and have a great time. She totally loved it.